Over the weekend United States President Donald Trump signed an executive order that bars citizens of seven Muslim-majority countries from entering the United States for the next 90 days and suspends the admission of all refugees for the next 120 days. The new policy went into effect on Saturday and the whole world, including our MMA Universe, had really no idea how to grasp the enormity of the new order. A few days into the policy, in a place usually reserved for covering Trump related Street MMA, we’re still taking it all in. While the world watches, one UFC fighter is joining the many protesting the aptly coined Trump Muslim Ban. 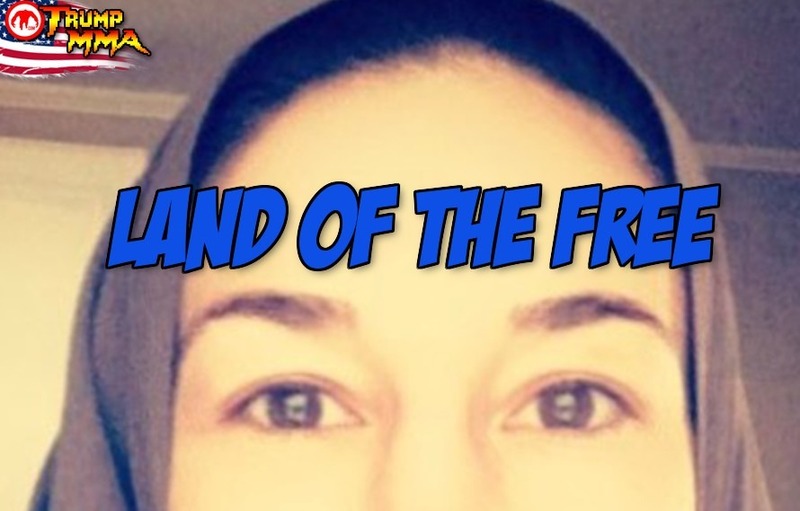 Inspired by the ban and a recent viral video, former UFC title challenger Sara McMann donned a hijab on social media with a message against the newly signed Trump Immigration ban. MMA fighters protesting for a cause they believe in is nothing new but seems to be picking up steam now more than ever. 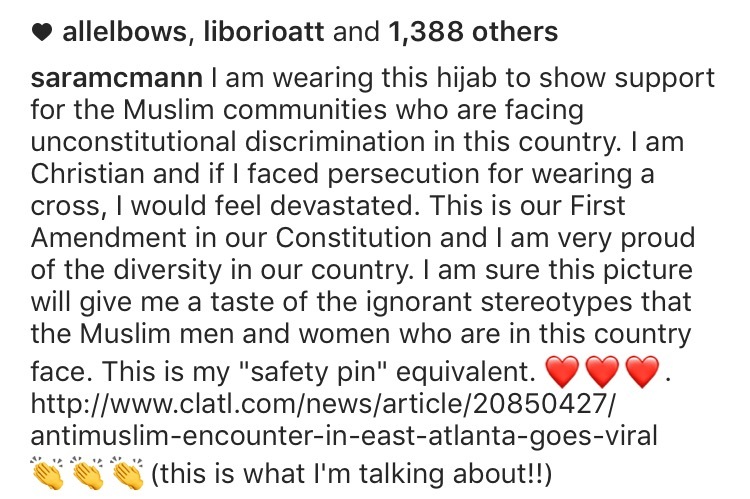 Props to McMann for using her spotlight to shine light on an issue close to hers and many people’s hearts at the moment. 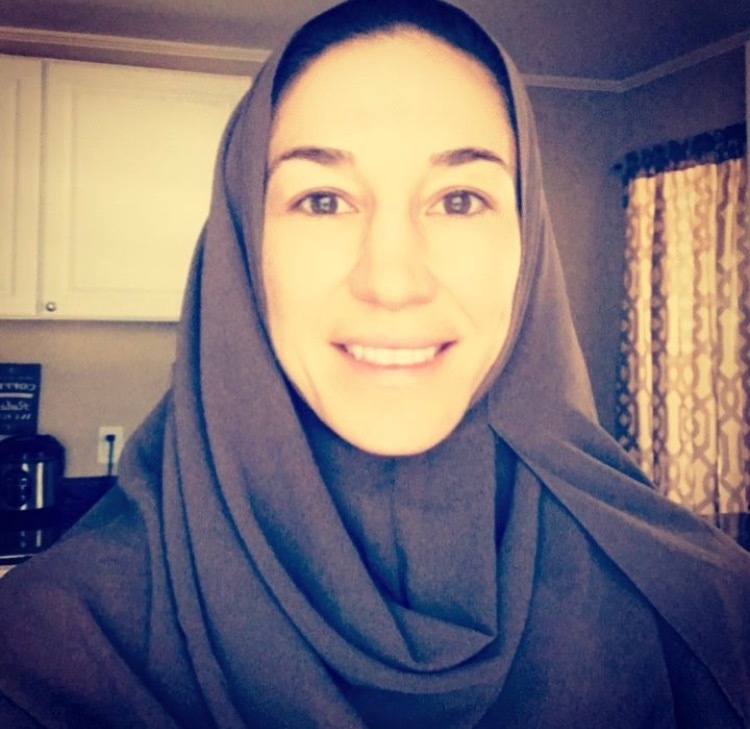 From Creative Loafing here is the viral video and brief background on the anti-Muslim encounter in a coffee shop that inspired Sara McMann. ““I was just literally on my computer, minding my business, and I look up and see a guy with a camera pointing at me,” says Asma Elhuni. Anyone else notice Herb Dean shaking his head after the controversial Rousey vs. McMann stoppage? Ronda Rousey just TKOd Sara McMann at UFC 170, wait what? !